Pet urine can leave unsightly spots in your carpet that have a bad odor. If you see urine spots on the carpet surface you can be sure there is urine in the carpet pad underneath. When pet urine hits sub flooring it has no where else to go nut outward. 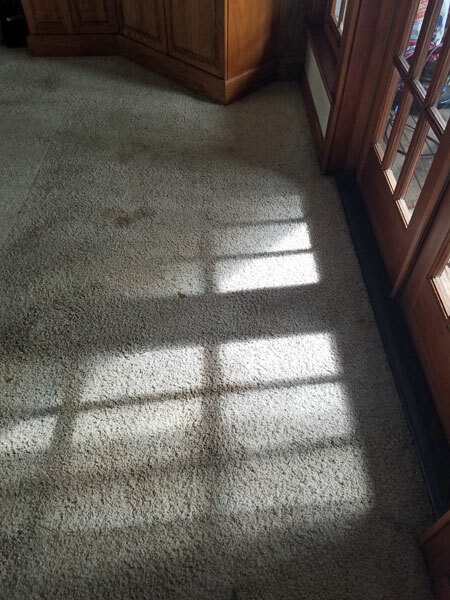 Urine spots underneath can be twice the size of the of the visible spot on the carpet surface. Surface cleaning can not remove the pet urine underneath. At Chem-Dry of Tampa FL we treat both the carpet and the carpet pad to make sure your pet urine stain is removed completely. Most carpet cleaners will try and rinse the urine our of the pad using a sub surface extraction tool, but this method doesn't remove pet urine completely. 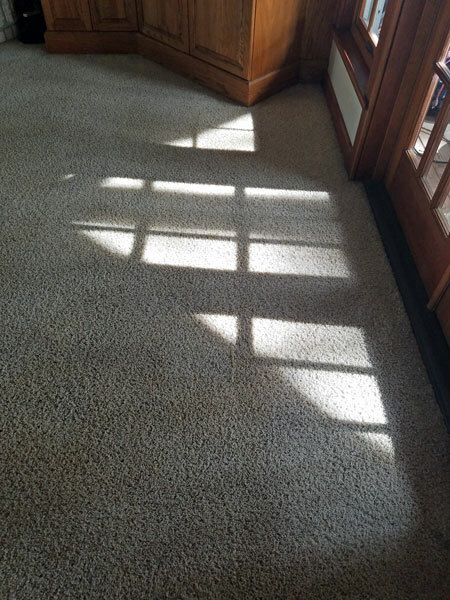 Urine crystals damage carpet fibers and backing making it impossible for it to be rinsed out. The only effective way to remove pet urine crystals from carpet and the pad underneath is to treat it with a urine neutralizer that eliminates the odor molecules and breaks down the protein stains in the carpet. At Chem-Dry of Tampa FL we use a specialized Pet Urine removal treatment that destroys odor molecules by oxygenating the urine proteins until there is nothing left. Our pet urine removal treatment was tested by an independent lab. The result showed that it removed 99.9% of urine in the carpet and 99% of the bacteria associated with the urine when a sanitizer was used. Considering using Chem-Dry of Tampa for your pet urine removal needs. For pet urine removal treatments in Tampa FL call Chem-Dry of Tampa.